East Preston Cricket Club saw their lead at the West Sussex Invitation League Division 2 summit cut to 56 points on Saturday. Leaders EP welcomed place-below Barns Green to The Cricket Field and succumbed to just a second league loss of the season following a poor batting showing. Paul McCafferty (3-27), Jack Sunderland (2-34) and Glenn Whitaker (2-42) worked hard but Barns still managed to make 196-7 off 40 overs. The total was one that was chaseable but East Preston’s batters knew they would have to perform well. 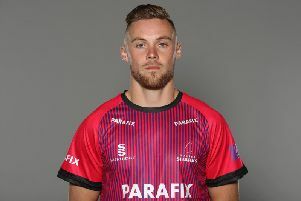 No batsmen could make an impact for the home side, though, as opener Louis Storey (32) and Whitaker (24) were the top scorers and EP were all out for 125, losing by 71 runs. The fixture provided East Preston an opportunity to pull further clear at the top in their quest for the Division 2 title. But now Barns Green are 56 points off leaders with a game in hand. EP skipper Gary Weedon admitted it was not what he and the team had intended. He said: “This was not the result we desired. We were hopeful of extending our lead at the top but we were unfortunate at the weekend. “We did well to take late wickets, restricting them and we were happy with the score we were chasing. “Out of the two teams, momentum was with us heading into our batting innings. “Unfortunately, I felt there were some decisions that didn’t go our way, which cost us the victory. Barns Green got off to a flying start thanks to Oliver Woodward (68) and Jay Dumbrill (47). When Woodward fell to McCafferty, Barns were well-placed at 165-4, looking on course to post a massive total. East Preston’s bowlers did a great job of putting the squeeze on Barns Green’s late order batsmen as they posted 196-7 off their 40 overs. After pulling things back with the ball, East Preston were in a good position to mount a run-chase. The batters could not follow in the bowlers footsteps and they collapsed to 125 all out in response. Opener Storey top-scored with 32, Whitaker struck 24, while Sunderland hit 16 but East Preston could only muster 125. Nick Cooper (4-17) had the home side’s batters in a spin, then Harry Swetman and Woodward bagged two wickets each. EP skipper Weedon now wants to see his side bounce back at bottom side Selsey on Saturday.